My Card Attic: Still No Mojo . . . So Bought New Stamps! Hello my friends! 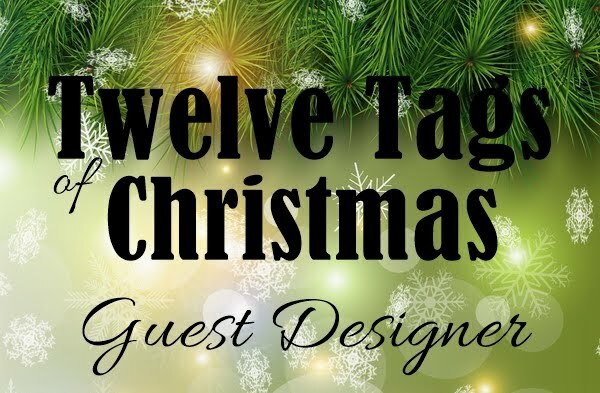 Another quick post today. Due to my lack of mojo I wondered if new supplies might shake me out of my slump - well that's how I justified it anyhow! They arrived today and I got them out immediately - usually, I file them for use another day and then . . . forget them! The stamps were, Mama Elephant 'Brushed Florals' and Concord & 9th 'Perfectly Penned'. First, I stamped the sentiment, then I built up the florals around it. I finished it off with some foiled accents. 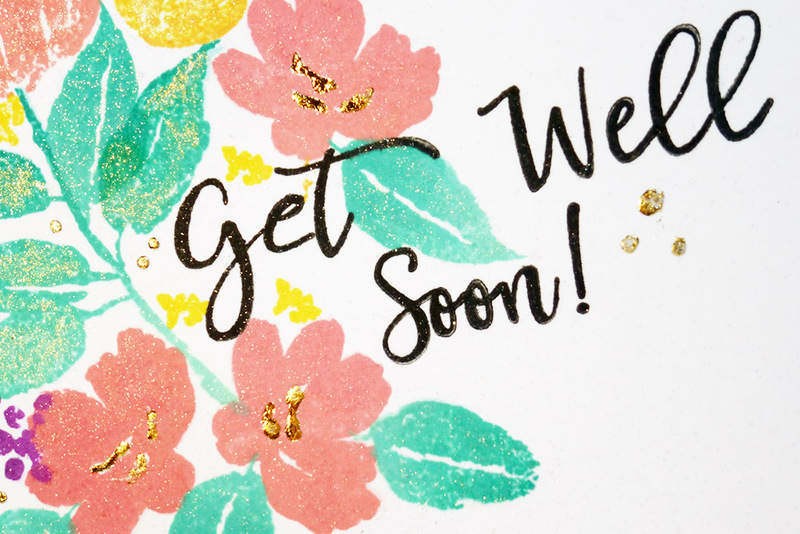 My mojo didn't make an appearance, but at least I have another get well card for stash now! I'm sorry if I have been remiss in visiting all your lovely blogs lately, but being so short of time I have only been returning visits. Hopefully, as Mum gets a little better and I have got things more sorted (there are things needing sorting every day at present), I will be able to return to visiting everyone's lovely blogs. Mojo has returned! This is wonderful! 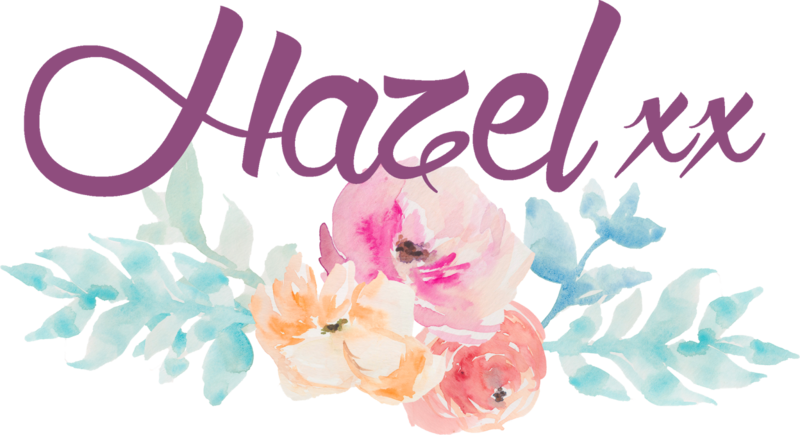 Dearest Hazel, when you have so much going on, it's hard to get back into creating. Nevertheless you created a very pretty card! The foiled accents are lovely! This card is really great. I love it this colorfulness and gold accents. Fingers crossed, I'm with you my thoughts and I have you in my prayers. 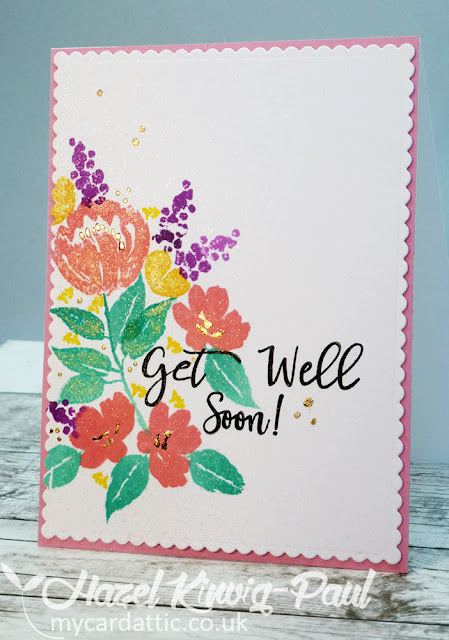 Sweet get well card...love your wonderful floral creation. Just beautiful for missing your mojo! I'm awed by what wonderful work you can create with No MoJo! I know with all you're dealing with just now, it must be difficult to even think of crafting. 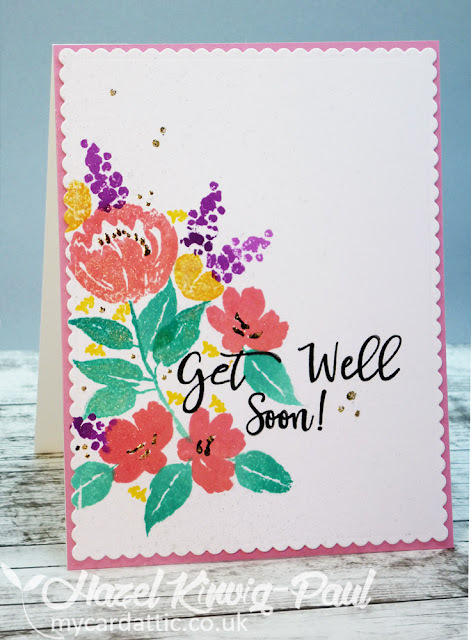 I think buying new supplies has definitely worked for you, cause this floral beauty is just lovely! The blossoms look like soft water coloring, but from reading the post, I think you used ink pads? Nice accent with the centers too. Hope things get straightened away real soon! We'll all be here when you are ready. looks like the mojo hasn't gone very far - the new flowers are so pretty in those colors - take care of yourself and mom too! 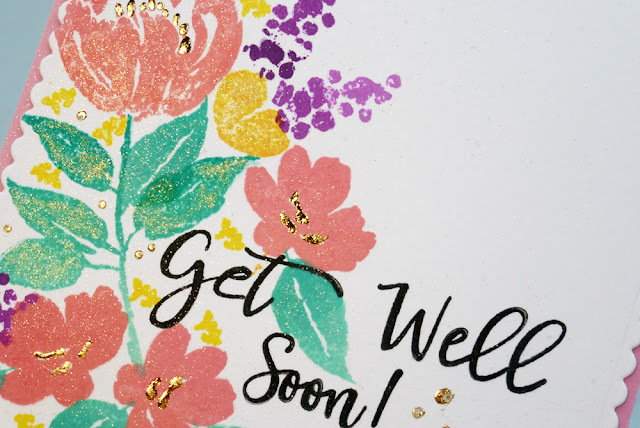 This card is so pretty, Hazel. Not sure I could do as well, even when my mojo is fully present and accounted for. Hazel that is my philosophy, I figure if I can't find my mojo that buying new stamps will help. 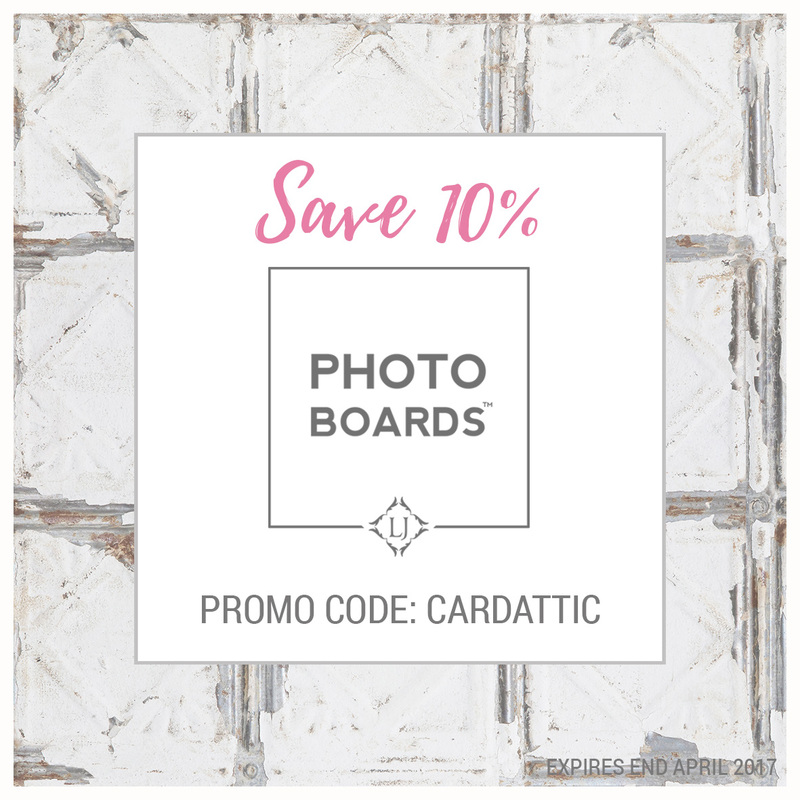 It helped you because your cards are fabulous! Hope your mom is getting better and better each day. I wonder who first coined the phrase 'Mojo'? Beautiful triangular layout. My favourite touch is the purple flowers. 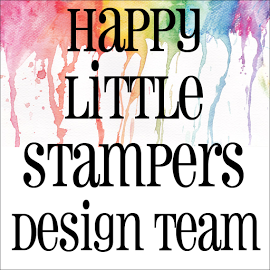 Well, I think treating yourself to some new stamps is a great way to destress right now. 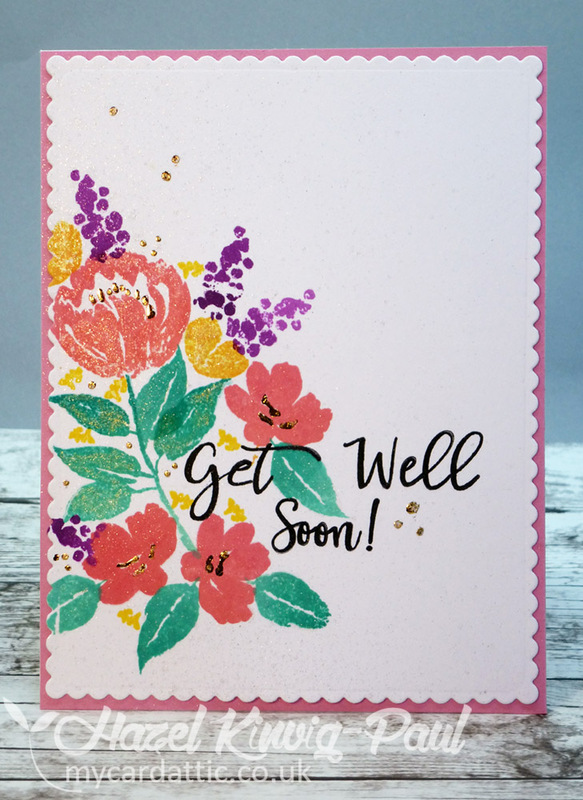 Your card is lovely and I just love the flower arrangement and the really pretty brush script on the sentiment. I hope your mum is improving a little each day.